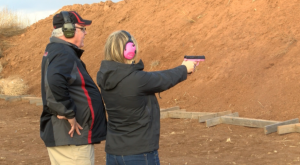 Lubbock license to carry instructors are seeing a spike in people signing up to get their certification since open carry took effect. 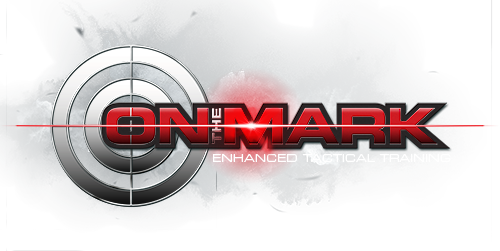 At On the Mark, a provider of LTC and CHL certifications, CEO Ray Dunn said his classes have been booked up into February. Husband and wife Stevan and Ashley Vergara said they took the LTC course for protection. The first steps in getting a LTC in Texas requires six-hours in a classroom with a written exam and a shooting proficiency test at a gun range. On the Mark takes their training a step further by offering laser shooting simulations during class. Dunn said they’re the only LTC course that offers simulated training in Lubbock. After you pass the LTC certification course people have to submit to a background check and fingerprints. On the Mark training specialist Craig Mann said he’s confident that On the Mark is sending LTC holders out on the streets who know how to carry responsibly. “We believe in what we’re doing,” Mann said. “We believe wholeheartedly in everything that we do, we put people out in the field that can save someone’s life or save themselves. Watch the full video on EverythingLubbock.com.